According to reports, the 64-year-old's wife had attempted to have him committed for mental health reasons earlier on the same day, but when police officers arrived he was deemed to be acting rationally, meaning that he could not be involuntarily committed. Nonetheless, a few hours later he became violent and started to break windows with his cane while shouting "the vampires are going to defend themselves." He ultimately managed to set his house on fire by throwing ceiling insulation on to the stove before going around knocking on his neighbors' doors to tell them that his wife was still inside. The house was completely destroyed in the fire however his wife managed to escape unharmed. The man was promptly arrested at the scene. It remains unclear exactly what caused him to fly off the rails. 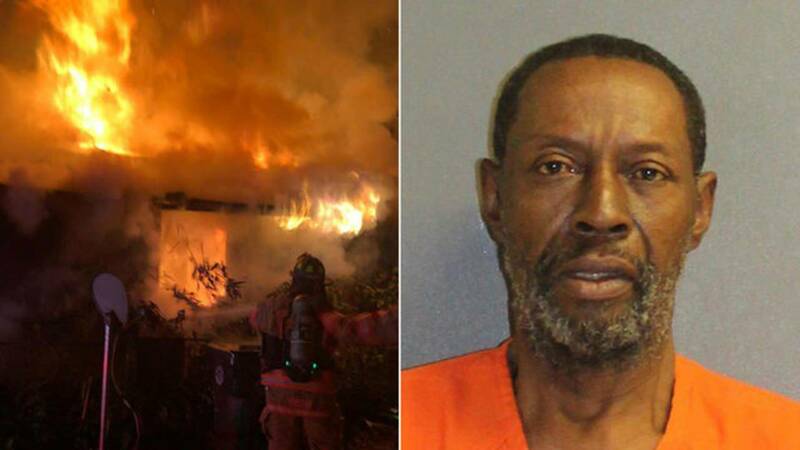 Melvin Weaver, 64, faces charges of aggravated battery and arson. DAYTONA BEACH, Fla. - A Daytona Beach man was arrested this week after police said he burned down his own house after screaming about vampires. Daytona Beach police said Weaver's wife sought to have him committed for mental health reasons on Sunday. But when police arrived around 2 p.m., Weaver was acting rationally and police determined that he could not be involuntarily committed under the state's Baker Act. But by 7 p.m., Weaver grew angry and began hitting his wife and breaking windows with his cane, police said. "The vampires are going to defend themselves," he shouted, according to the arrest report. Weaver then set fire to the home by throwing ceiling insulation onto the stove, the report said. His wife was in the house at the time of the fire, but she managed to escape unharmed. Weaver grabbed a kitchen knife and began knocking on neighbors' doors, saying his house was on fire and that his wife was inside, the report said. He was arrested at the scene. Weaver's wife said he takes pain medication for cancer, but she did not know whether he had taken any other drugs that day, the report said. The home was completely destroyed in the fire.